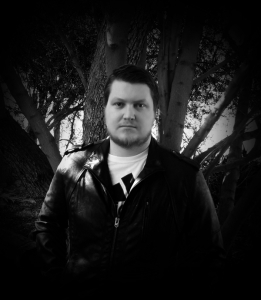 In the latest instalment of Calvin Demmer's epic Dark Celebration series we are introduced to Gwen who's struggling to deal with her past. Gwen has her whole life ahead of her, she's done brilliantly in her first year at college yet all she can think about is her most recent heartbreak. Her friend Haley suggests getting away for Spring Break and takes her off on an extraordinary adventure to Mexico. Even her parents reluctantly agree it is a good idea. Yet Gwen is still finding it hard to forget and move on and look forwards to the next chapter in her life. Haley drags her to the beach for a sun-blessed day but that's when her problems really start. After a nap she wakes up only to find her friend disappeared. I really enjoyed this tale. I really felt I was inside Gwen's head and the characterisation was really good. There was a lot of depth despite it being a short story. There was a lot of twists and turns which really keep hold of you throughout. 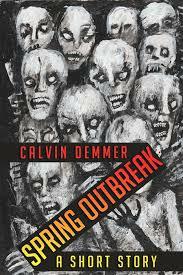 Spring Outbreak is the latest tale in Calvin Demmer's Dark Celebrations series; Hungry Ghosts, Labor Day Hunt, Thanks Sinning, Trick or Death, Three Dead Men and Happy Dark Year. They are all available on Amazon for less than a pound or dollar!